Most people won’t. It is a raised ranch. Raised ranches tend to have very tight-closed in kitchens. That was exactly what this homeowner wanted to change. Here’s what we did. 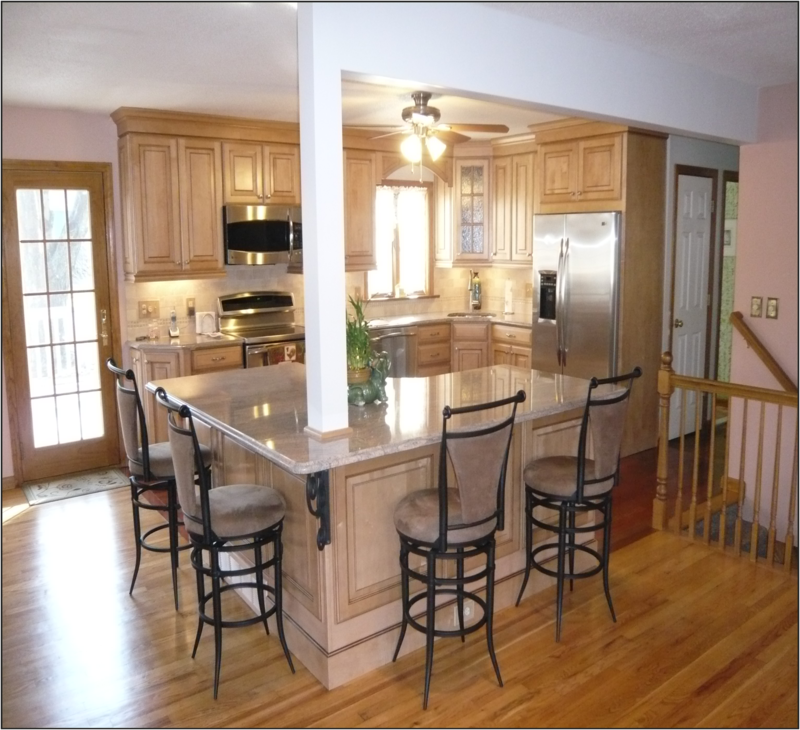 The interior walls of the kitchen were removed to create an open floor plan. Next, we designed and installed a large island. The island serves two purposes: 1) it is a great gathering and eating area, and 2) it acts as a demarcation point for the kitchen. For those of you who have a raised ranch, this is a great idea.